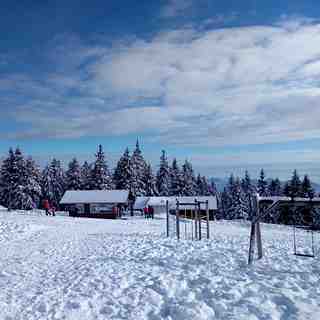 Rogla, in Slovenia, is a large resort with 11 lifts (2 chair lifts, 9 surface lifts) that offers skiers a respectable 467 metres (1532 feet) of vertical descent. 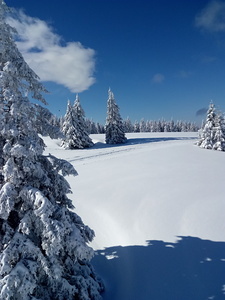 Rogla has 247 acres of terrain over 13 pistes. 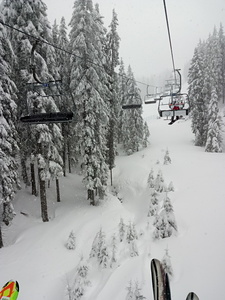 Rogla is mostly suitable for beginner and intermediate skiers and snowboarders. There are 30 kilometers (19 miles) of cross country ski trails at Rogla. For snowboarders, there is a half pipe. All of the pistes at Rogla are covered by snowmaking. 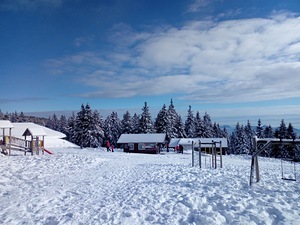 The nearest airport is at Ljubljana and the nearest train station to Rogla is at Maribor. There is accommodation located close to the pistes but we would welcome additional information about any hotels or chalets in Rogla. The official opening of the Snow Park on Rogla will undoubtedly attract many snowboarders and skiers from Slovenia and abroad, just like it did last year. We have arranged the Snow Park elements with great care, have arranged the DJs, the photo shoot, the video cameras, can select the best snowboarders/skiers of the day … The Season has been opened. The Ticket To Ride is a Snowboard World Series, and Rogla will host this year's competition for the first time. Due to the Series’ attractiveness, the financial and material rewards, the snowboarders on Rogla will have more than enough reasons to show everything they have got. Last year the Volcom Peanut Butter And Rail Jam was organised on Rogla for the first time. Each year, the winners compete first in the European finals and then for the World Cup. The Series comprises male and female competitions and is organised on the world famous ski slopes. It represents a typical Freestyle event. Nice place, beautiful nature, friendly staff. The slopes are amazing; the best for families. There are a lot of restaurants. We would love to return and highly recommend it.